For NMRA Members group discount, use 4+ quantity pricing. Please include your membership info. Call for information on club discounts. These discontinued or limited availability products are no longer recommended for new installations. We may have limited quantities availability to support existing users. Out of production or special order items are subject to a minimum order requirement. LCC Power-Point ties together 2 LCC jacks, a Traffic Monitor, and a power supply. 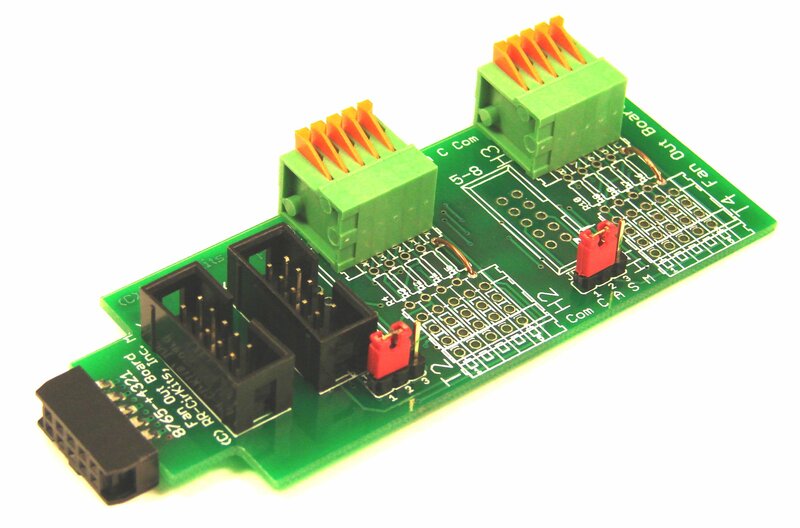 Create a powered LCC bus for simple wiring by powering your LCC Nodes over the cable. The LCC Power-Point supplies 1/2A to each LCC CAN Bus cable. 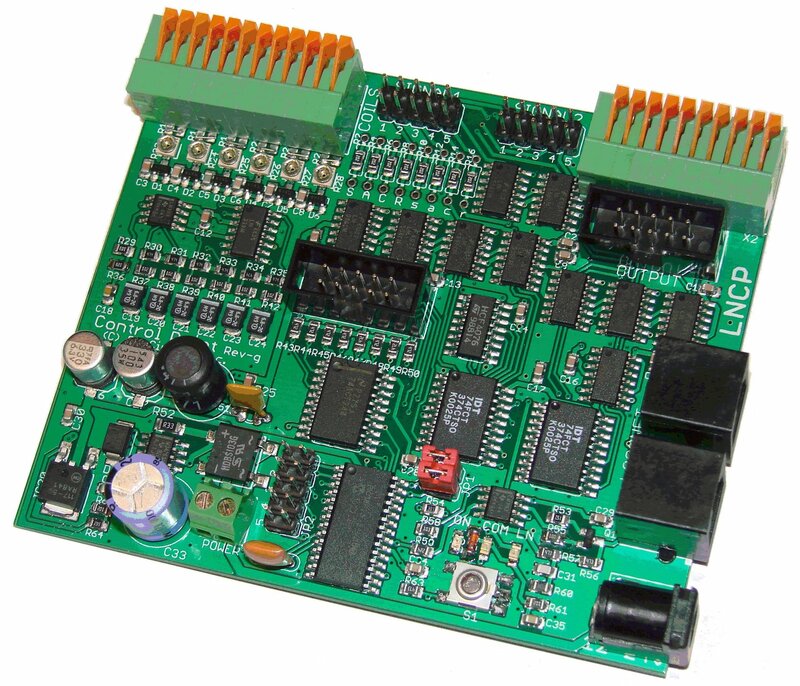 PS-S-15-1200 universal switching power supply is included. (Terminator and CAN bus cable shown are not included) Additional Power-Point units may be added as required by your system's power requirements. LCC Repeater. 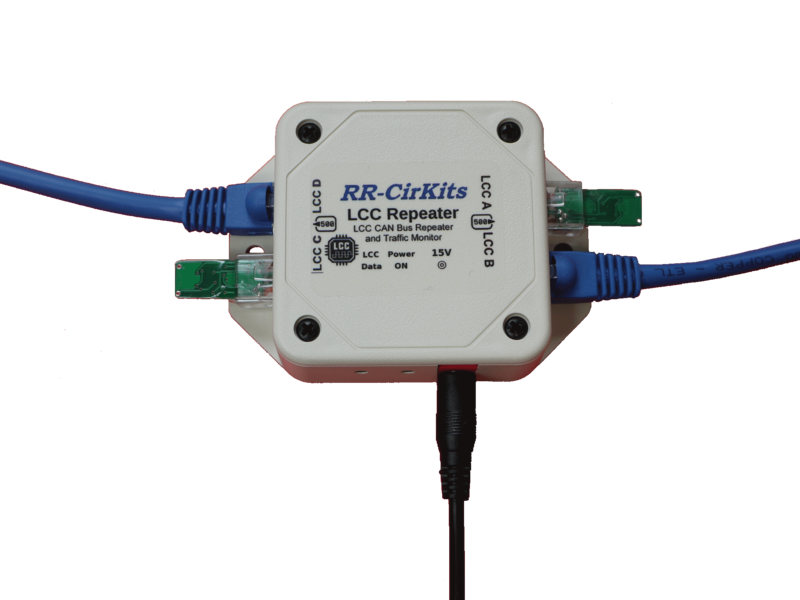 Bit level repeater connects two LCC ® CAN bus segments. 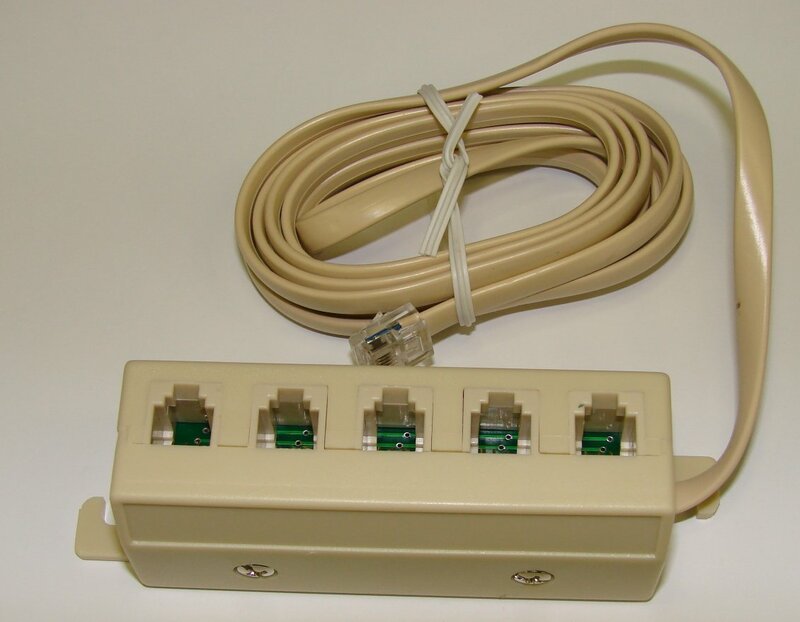 Quad RJ45 connectors for dual LCC ® CAN bus loop through connections. 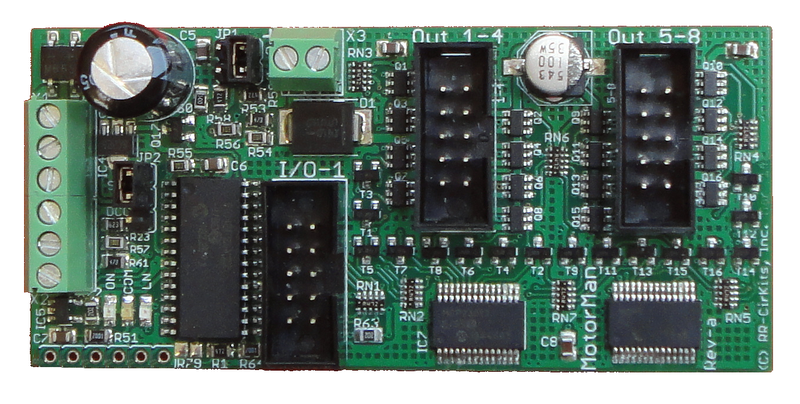 Includes a CAN bus data monitor LED for network trouble shooting. 2 LED display. Small package size. Just 2-1/2" x 3-1/2" x 1". (including mounting flanges) 600 ma power supplied to each LCC ® CAN bus segment. 15VDC 1.2 Amp Universal Switching Power Supply included. 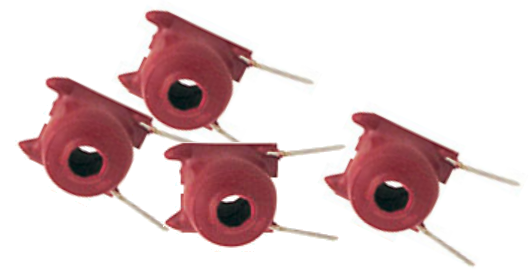 NMRA CAN bus LCC® Termination Pair. 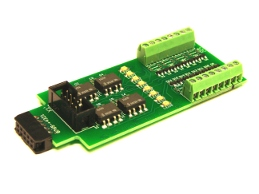 May be used to provide the required termination at each end of the CAN bus LCC® Balanced CAN termination provides the best noise rejection. Includes CAN bus Power Indicator and CAN bus data monitor for easy network cable trouble shooting. LCC requires two terminators per bus segment. 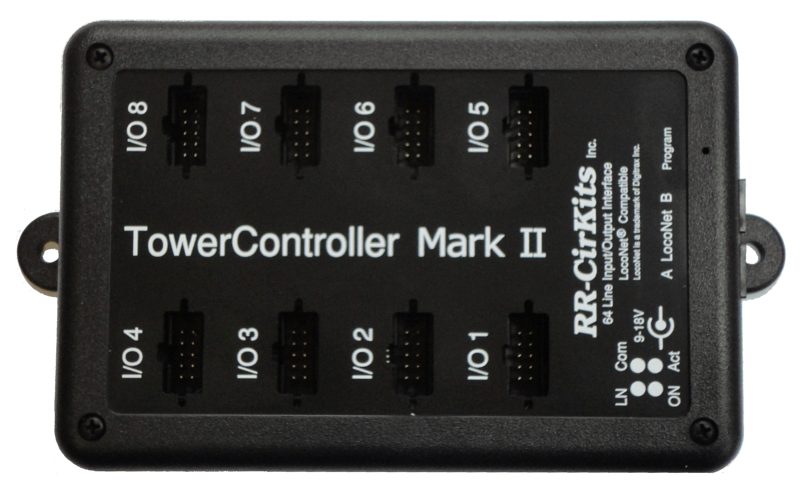 NMRA CAN bus LCC® to USB interface. 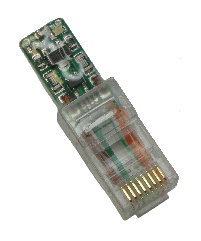 2,500 Volt Digital isolation between CAN bus LCC® and USB port.Type B USB connector for PC connection. Dual RJ45 connectors for easy LCC® loop through connections. 4 LEDs display status. (Ready, Power, Transmit, and Receive) Small package size. Just 1-1/2" x 2-1/4" x ¾". Ready to run unit includes USB cable. – Nothing extra to purchase. 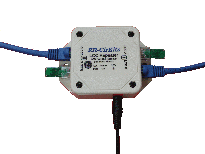 Standard 125,000 Baud CAN bus LCC® interface speed. – No jumpers or switches to set. 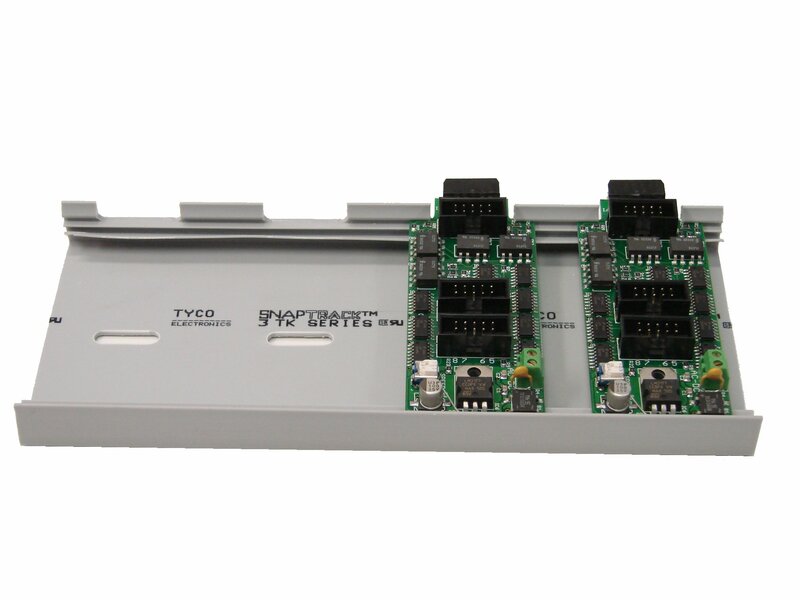 Buffered inputs and outputs for full speed error free data transmission. Powered directly from LCC bus connections* and USB port. *Note: Requires a powered LCC bus. [10 ma. 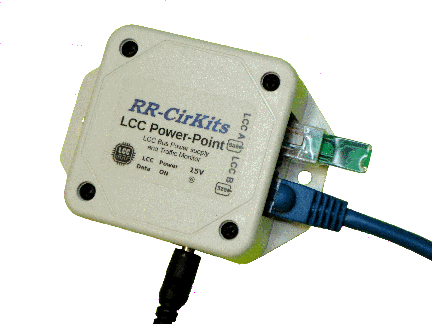 bus load] Simplify your LCC configuration and/or use a PC based CTC. Compatible with JMRI. 2 ea. 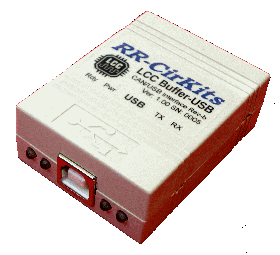 LCC Terminator LCC Starter Kit Introductory price for a LCC Buffer-USB, a Power-Point, 2 Terminators, includes 1' LCC cable and USB cable. WATCH THIS SPACE FOR FUTURE LCC PRODUCTS! (Fan Out Board, Direct Drive) This board is specifically designed to direct drive eight LED's from a single RR-CirKits port. 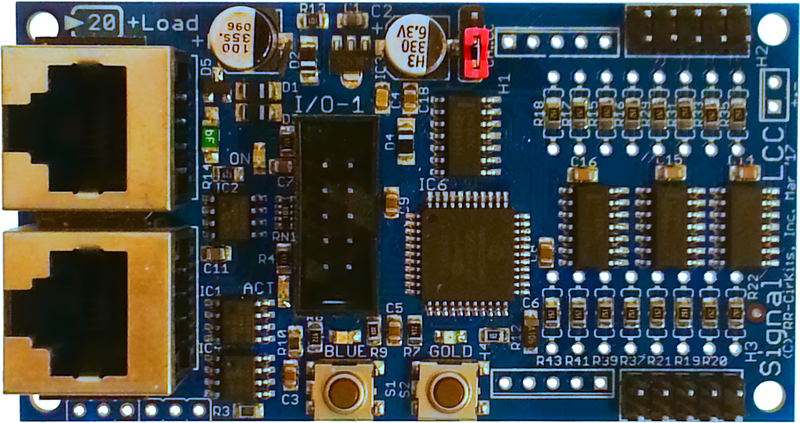 It includes on board locations for current limiting resistors and jumpers to select common anode or common cathode connections. 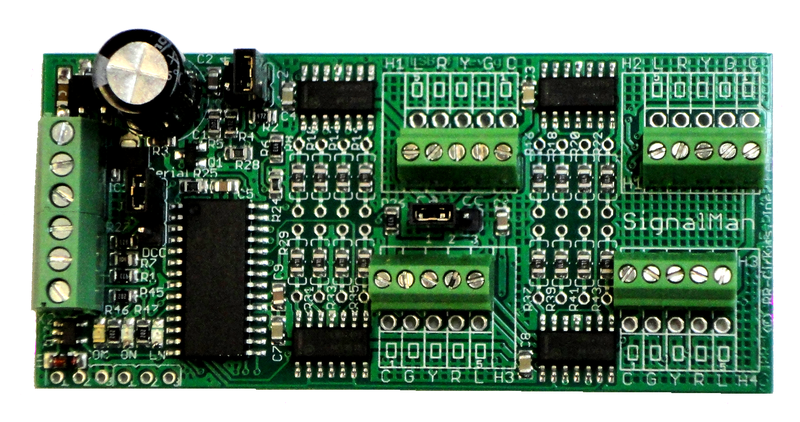 No extra hardware is required at each signal head. 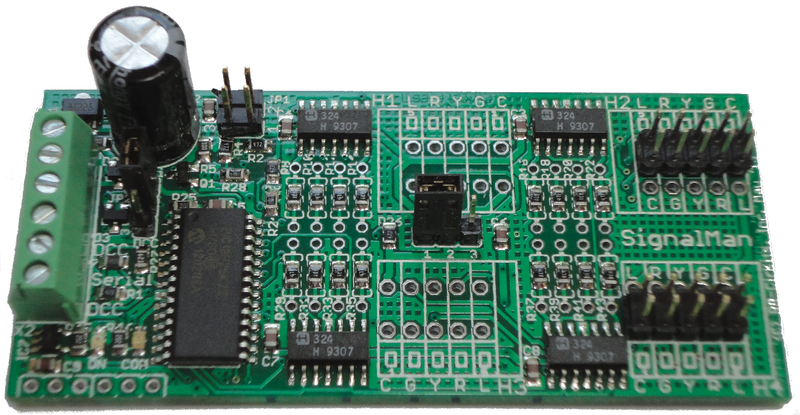 It may also be used to simplify connections to the 10 wire ribbon cables for multiple input connections. Quick release compression connectors simplify repeated connection of #18 and smaller wires. Manual. 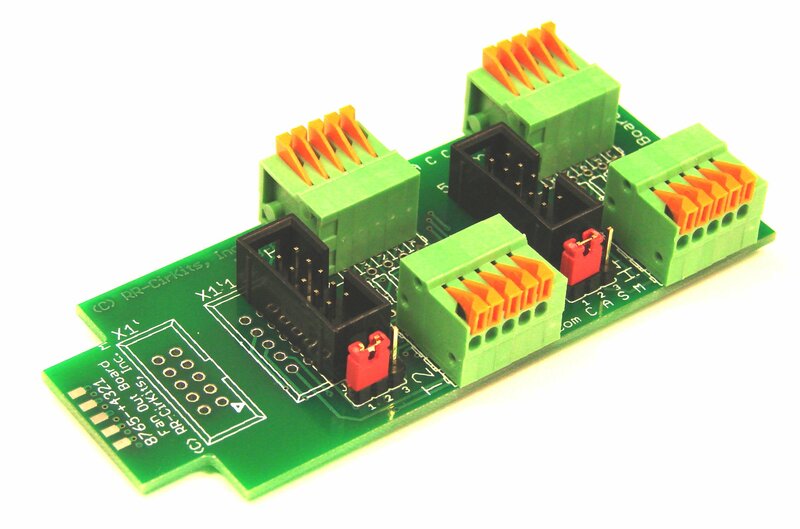 (Fan Out Board, Dual Direct) This board is specifically designed to terminate the dual cable, eight stall motor, connections from a single SMD-8 board. It includes on board jumpers to select common positive or common negative for optional single ended connections. 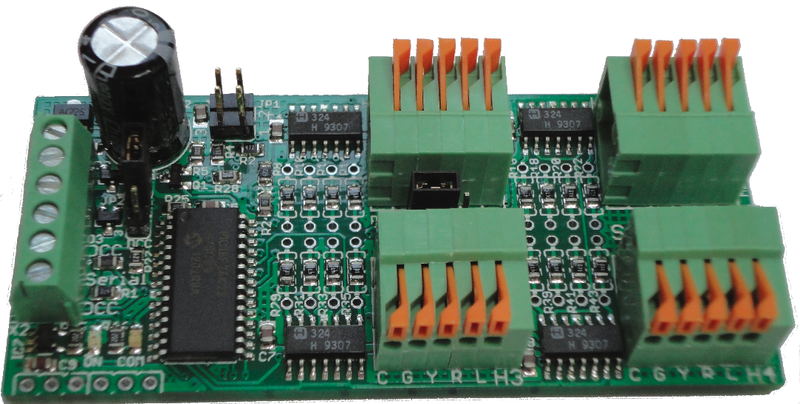 This board may also serve as a convienient connection point for two flat ribbon cables used as inputs to the RR-CirKits ports. Quick release compression connectors simplify repeated connection of #18 and smaller wires.Manual. 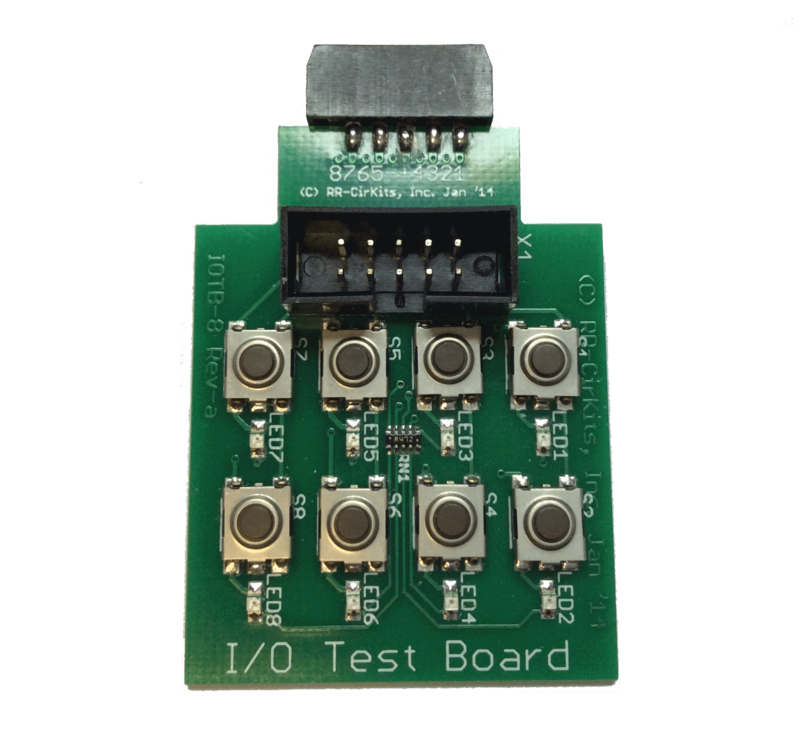 (Opto Isolator Board - 8 line) This board is specifically designed to isolate AC or DC voltages from the RR-CirKits style inputs. This version of the board includes internal current sources. Manual. 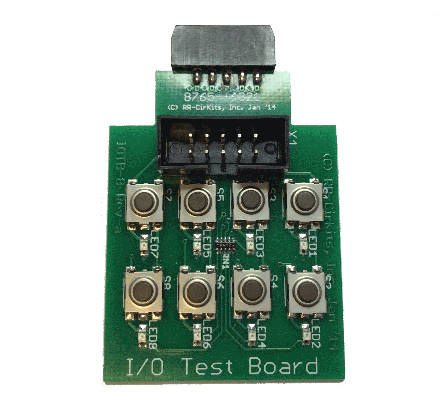 Relay Board - 4 is a Quad 10A SPDT relay board with logic level drivers. 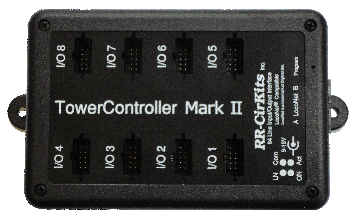 It is suitable for use with TC Mark II, TowerMan, Tower LCC, or other logic output devices. 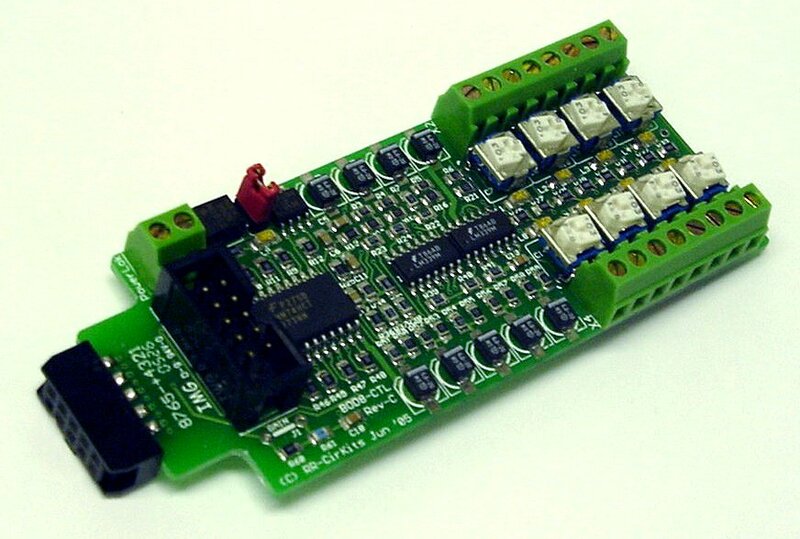 It requires 12V auxilary power to supply the relay coils. Auxilary power is optically isolated from the logic inputs for double isolation. 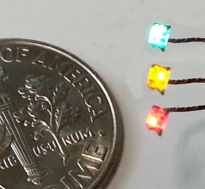 LED indicators for each relay make it easy to monitor activity. 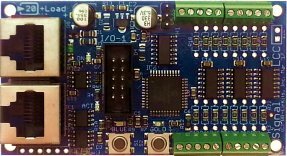 Includes dual ribbon connectors with offset lines to allow connection as output 1-4, or output 5-8, of the Tower LCC, TowerMan, or other driver. 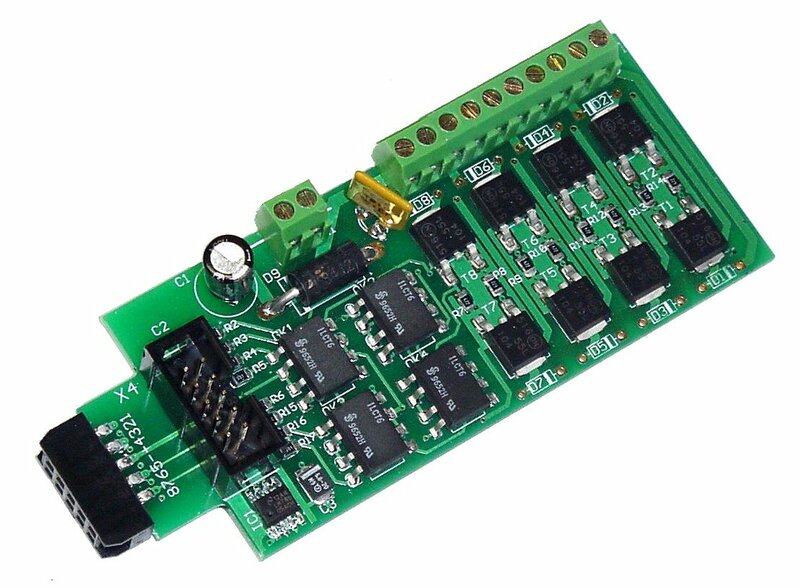 (Stall Motor Driver) This 8 output, optically isolated, low current "H" bridge driver is designed for control of 8 stall motor switch machines. (E.g. Tortoises®) It can drive up to 100ma. 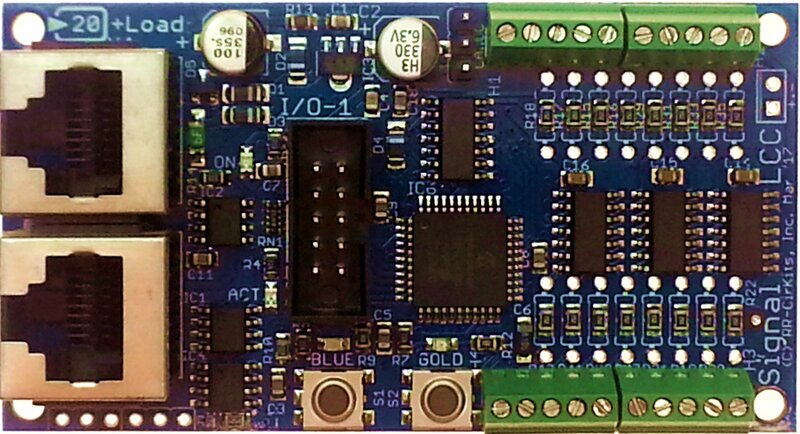 per line, speed regulated output 4 to 12VDC. 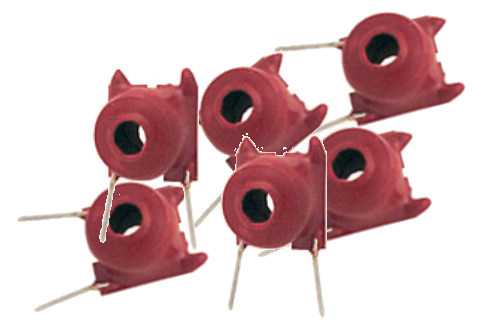 (PTC fuse limited to 200ma total per board for safety). Manual. 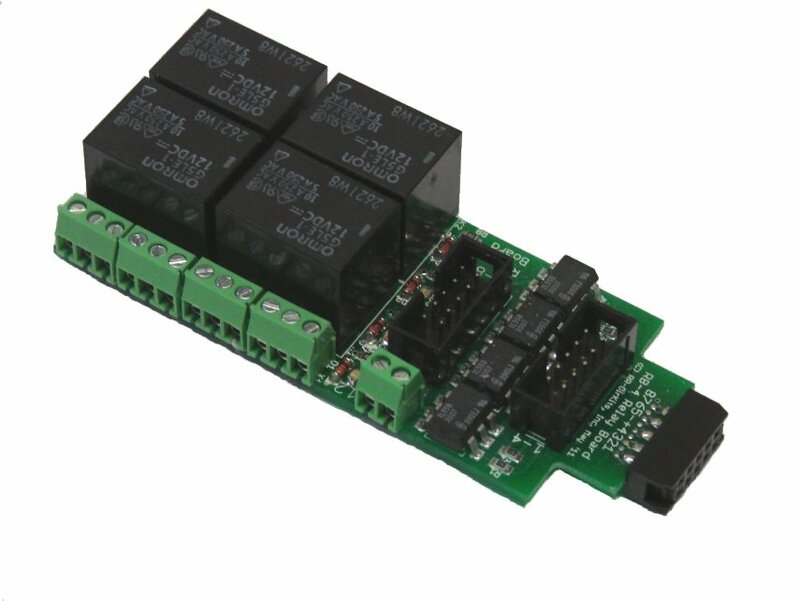 (Single Coil Solenoid Driver) This 8 line, optically isolated, single ended, high current, high voltage DC driver can drive up to 1A continous per line at up to 30VDC. 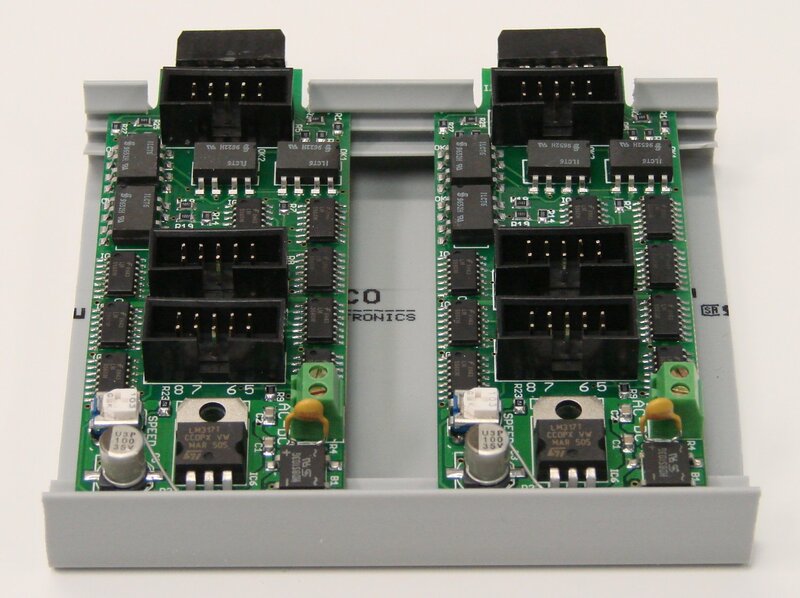 When used with custom Tower LCC settings and a CD power supply this board will drive 4 dual-coil solenoid switch machines. (PTC fuse limited to 2-3A total per board for safety) Manual. 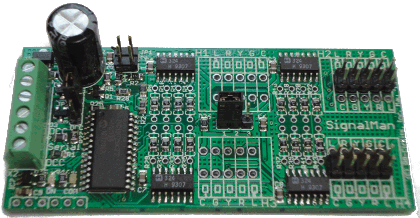 USB to serial Interface unit. Includes driver disk. 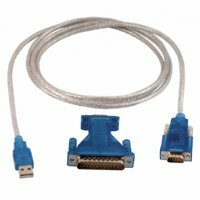 Well suited for interfacing NCE command station to USB.This unit does not require any modifications to the command station for proper attachment. 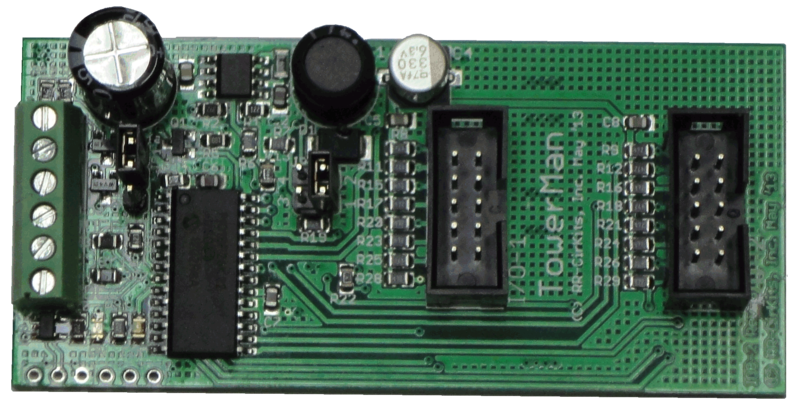 Also useful for other serial devices. SSB-Adapter The SSB Adapter ties together 2 LocoNet jacks, one Simple Serial Bus terminal, and a power supply. 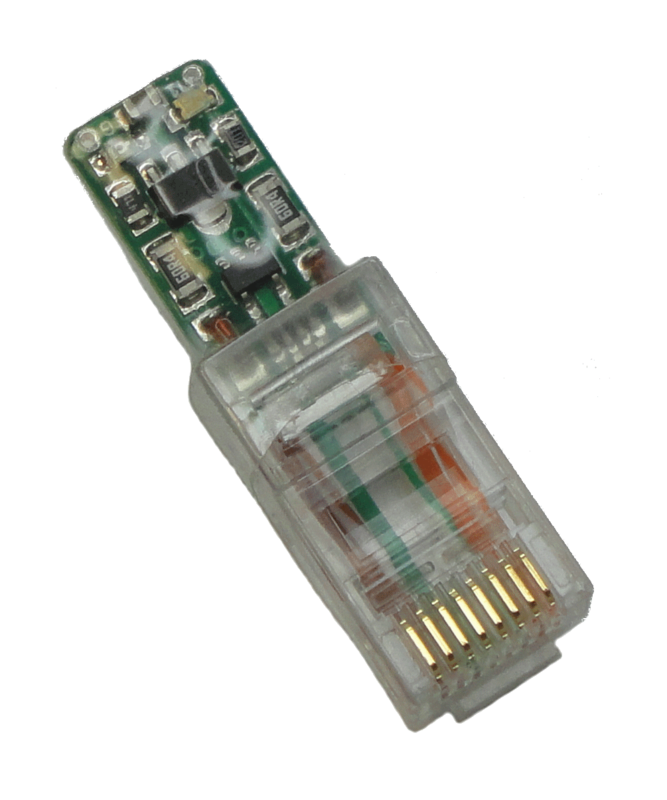 The SSB Adapter is for use with an existing LocoNet® when used on a Digitrax DCC system or to extend a stand alone LocoNet®. 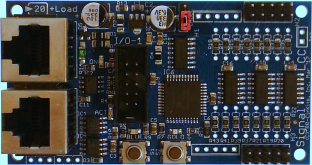 It provides an easy way to connect to, or to add additional power to the SSB. 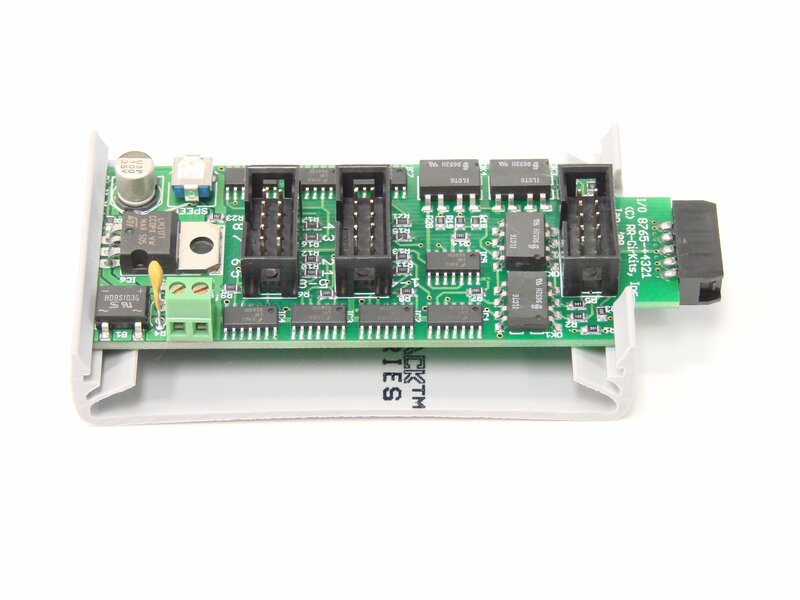 PS-S-15-700 universal switching power supply and 5' LocoNet® compatible cable are included. 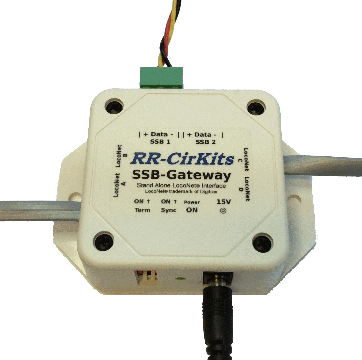 SSB-Gateway The SSB Gateway ties together 4 LocoNet jacks, two Simple Serial Bus plugs, and a power supply. 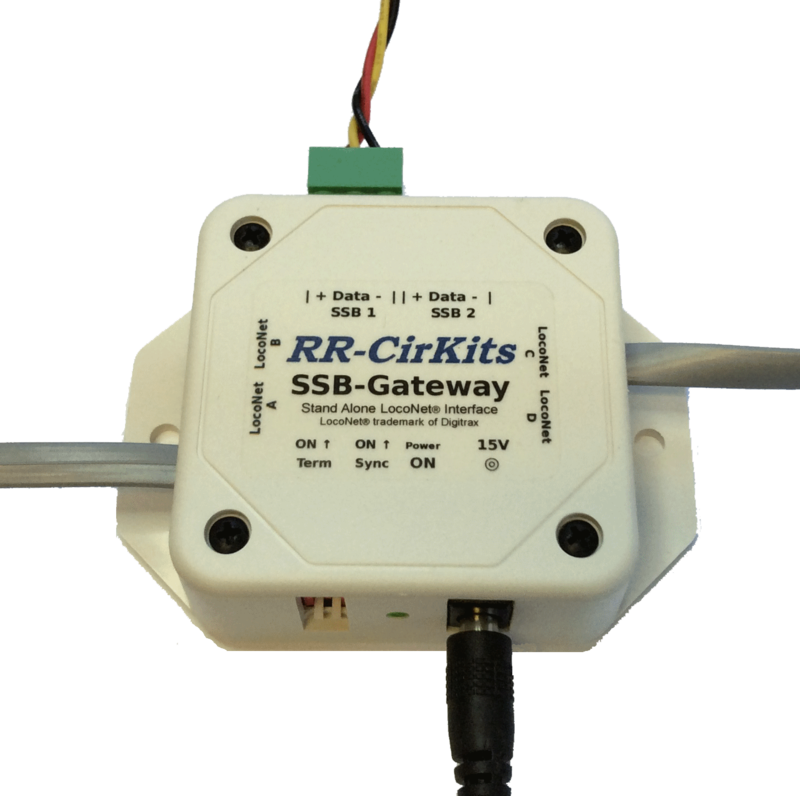 The SSB Gateway optionally supplies the required LocoNet® 15ma. 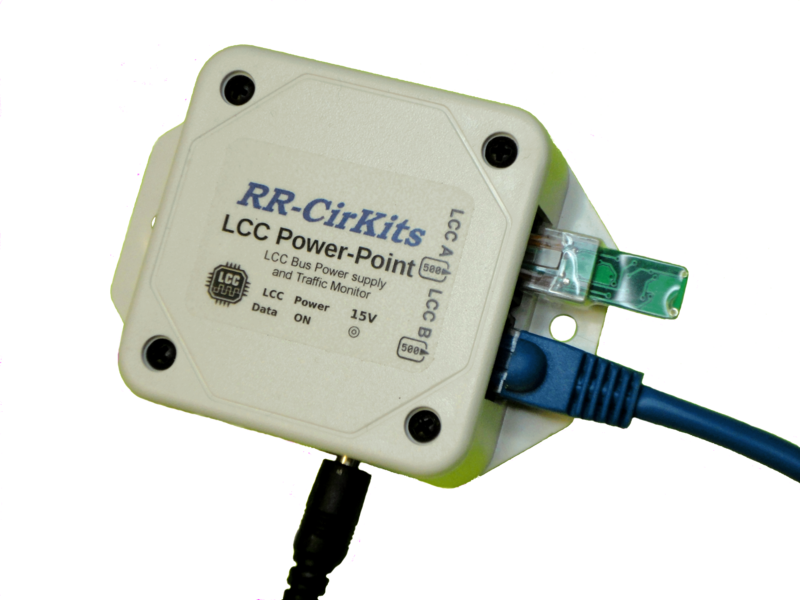 pull up and DC power to the RailSync lines for a stand alone LocoNet® when used on DCC systems other than Digitrax. 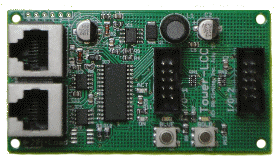 It provides an easy point to connect a LocoBuffer-USB to interface the SSB to a computer. 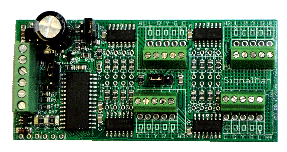 PS-S-15-1200 universal switching power supply and 5' LocoNet® compatible cable are included. (10 conductor flat ribbon interface cable) 100' rolls, #28 AWG gray with red stripe on line one. 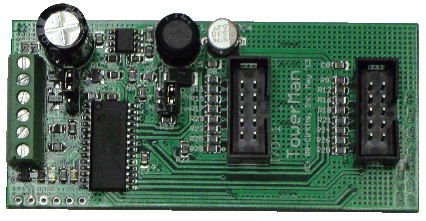 Used to connect any daughter cards to the Tower Controller, TowerMan, or LNCP boards. Also used to connect signals to the 4ASD-4 board, LNCP, SignalMan-P, or to the Tower Controller. Cable is heavy and will incur extra cost for shipping. Note: We now offer cut cable lengths to those customers that don't require full rolls. 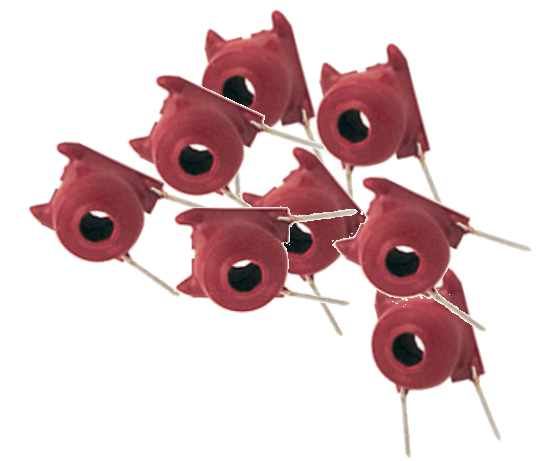 (10 position IDC socket) Box of 25 Insulation Displacement Connectors for use with 10 wire flat ribbon cable. 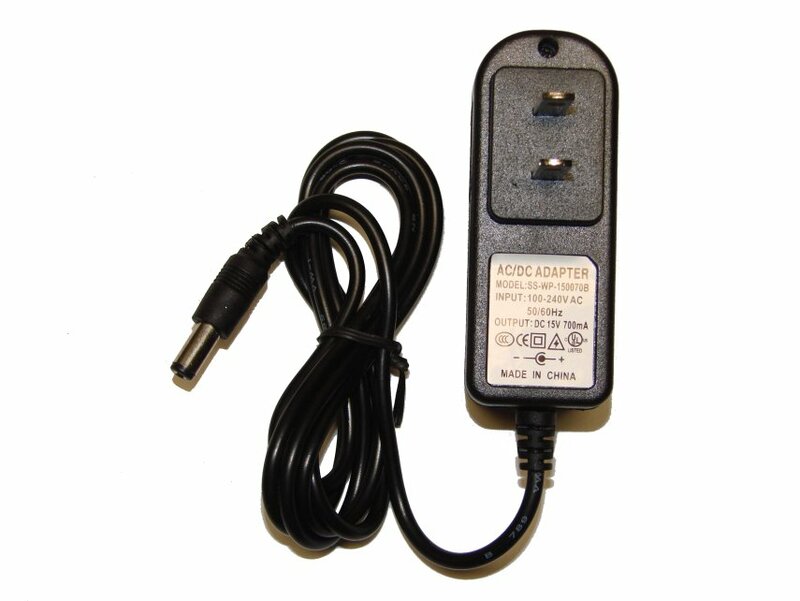 This high quality regulated switching power adapter powers any 15 Volt DC device up to 1.2 Amp. Made with quality in mind, this unit outperforms similar products. 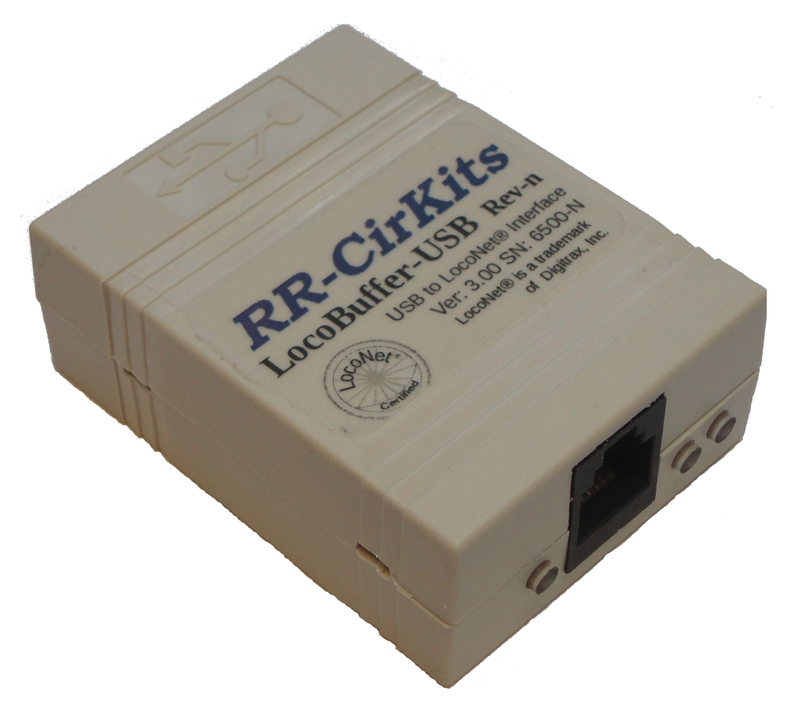 Let RR-CirKits keep your devices powered on and working great with our professional grade power supplies. 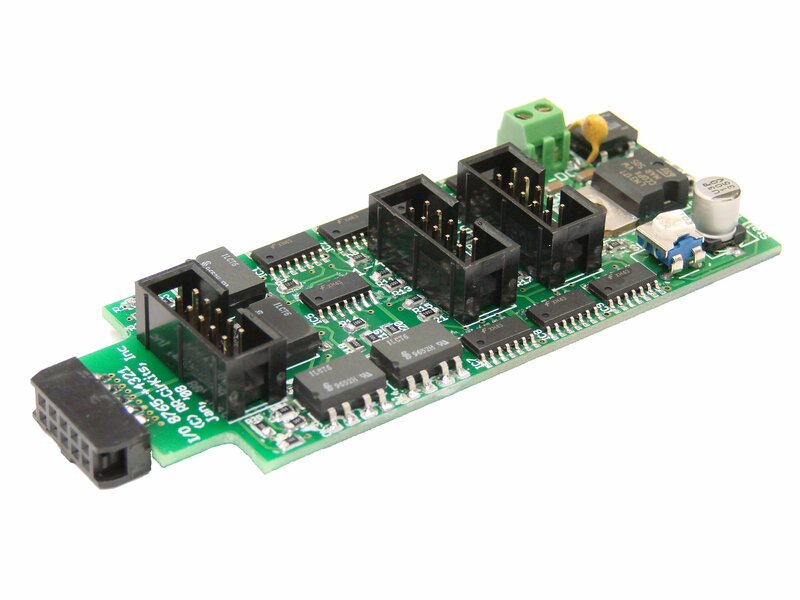 This constant power output supply is designed to start up reliably even under large capacitive loads. The latest Slimline design allows adapters to fit side by side on a plug strip. Light weight and small size.